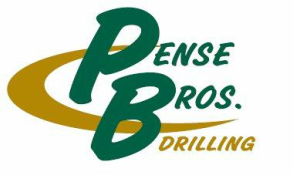 Drilling Jobs - Pense Bros. Drilling Co. I am legally eligible to work in the United States. I am willing and want to work. I can be away from home for a varied amount of time and have discussed this requirement with my family or significant others. I can work 12 1/2 hour shifts for 14 days in a row and can handle rotating shift work. I am mechanically inclined and am able to do basic repairs to vehicles or equipment. I like working with my hands. I prefer working outdoors vs indoors. I can work in extreme cold and extreme heat conditions for long periods of time. It doesn't bother me to get dirty, wet or muddy on the job and to remain so for the rest of my shift. I have had a "dangerous" job that required the use of personal protective equipment. I have had at least 6 months of verifiable hard labor experience, e.g. sawmill, logging, farming, military, construction. I am able to consistently lift 80-100 pounds many times in one day. I am willing to work in a drug free workplace with a zero tolerance policy. I have had previous Safety training that I have complied with. If you answered True to a majority of these questions then this might be the job for you. You can fill out an application by clicking here and follow the instructions.